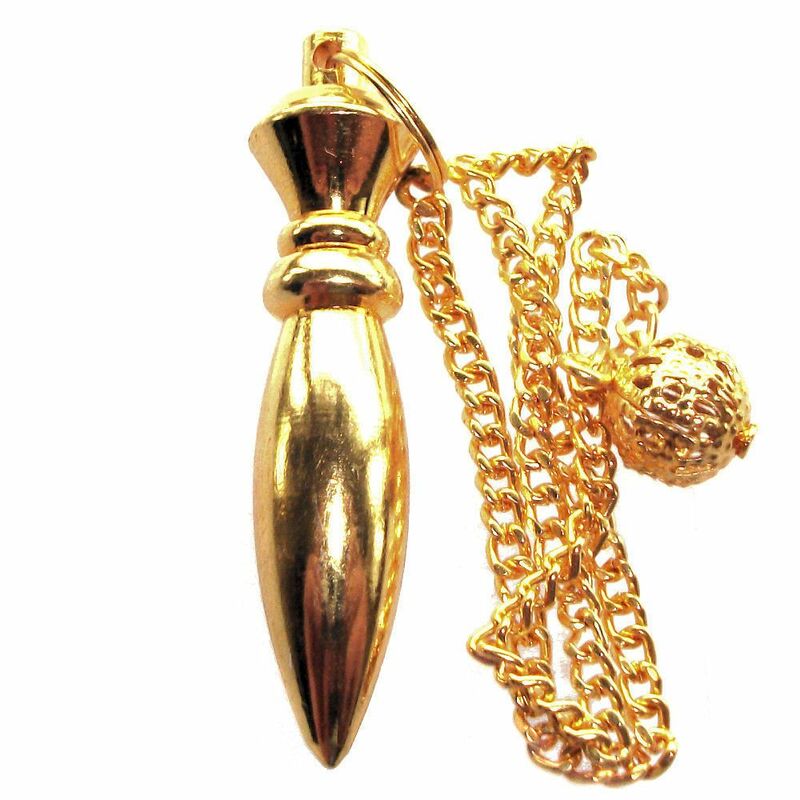 The item for sale is an Egyptian Karnak healing steel pendulum that has been electroplated Gold. 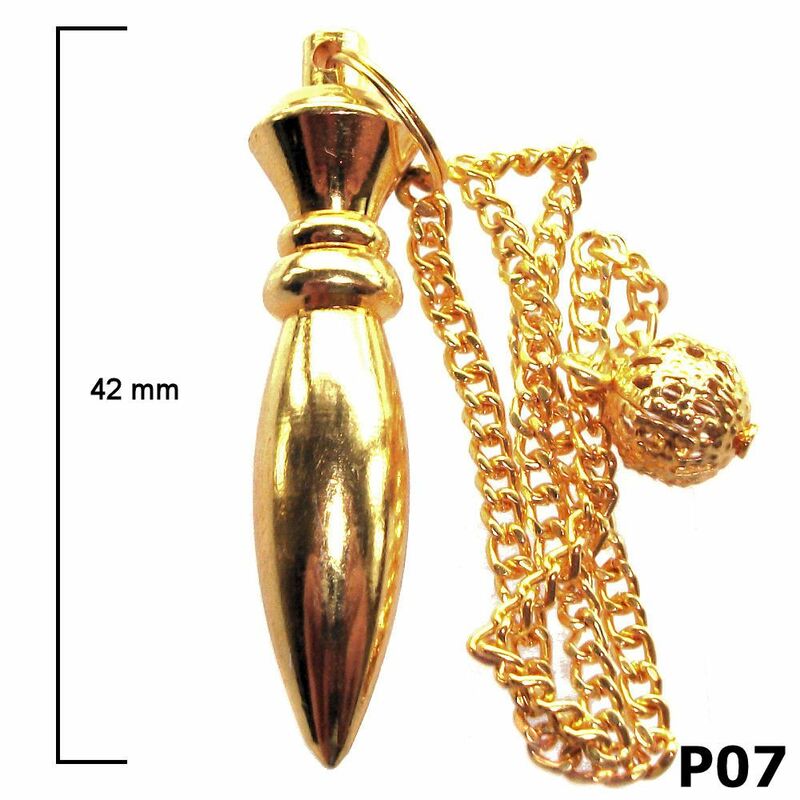 The pendulums size is 42mm as indicated in the product pictures. All Egyptian Pendulums are ideal for radiesthesia, healing and divination as they have shapes based on the principles of Sacred Geometry. Some of these shapes were found as artefact's in Egypt in the form of actual Pendulums, others were developed in Egypt by French scientists inspired by the enormous power of the Sacred Geometry shapes that had been found.